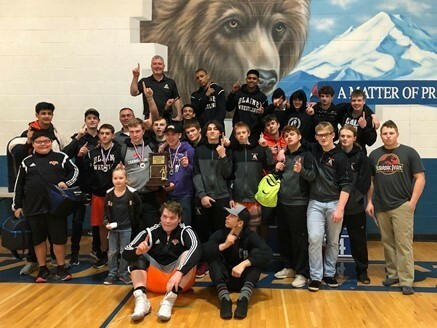 Congratulations to the Borderite Wrestlers for winning the District Championship on Saturday, February 2nd, in Sedro-Woolley. Blaine had 14 boys and 1 girl qualify for the Regional Tournament this Saturday, February 9. Borderite regional qualifiers were: Adam Macauley, Alex Mercado, Jack Cheatham, Alex Hall, George Cheatham, Ethan Deming, Aidan Button, Colton Pedersen, Nicolaas Chandran, Luke Westfall, Jacob Westfall, Owen Hansen, Gavino Rodriguez, Connor Ellis, and Joseline Delgadillo. Way to go Borderites! !